Garfield Refining won the 2014 Townie Choice Award for Scrap Refining. The category was introduced in 2011 and since then Garfield Refining has been voted the winner each year. 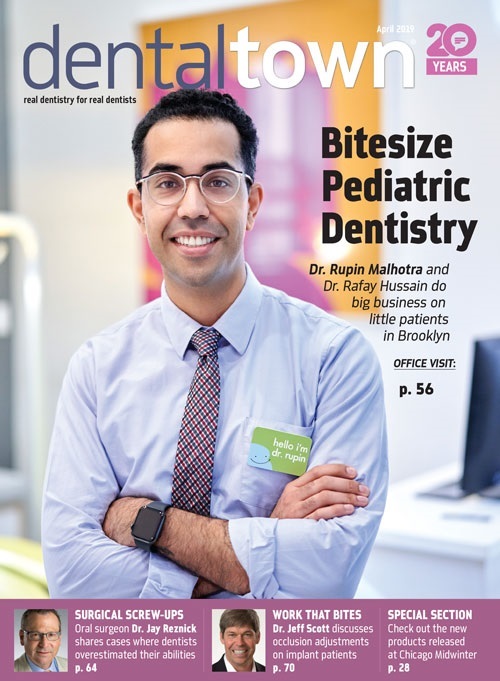 Dentaltown Magazine editors interviewed Michael Sherbekow, the director of sales and purchasing at Garfield, to find out more about why customers are loyal to this company. "Precious metals refining is like any other industry; customers expect great prices and great customer service," Sherbekow said. "Times have certainly changed over our 122-year history, but customers still respond to great payouts and unbeatable service, just like they did in 1892. We are very thankful for the Townie Choice Awards for providing this amazing spotlight—and it's extremely rewarding to see our customers validate our commitment to improving their experience while putting more money in their pockets year after year." 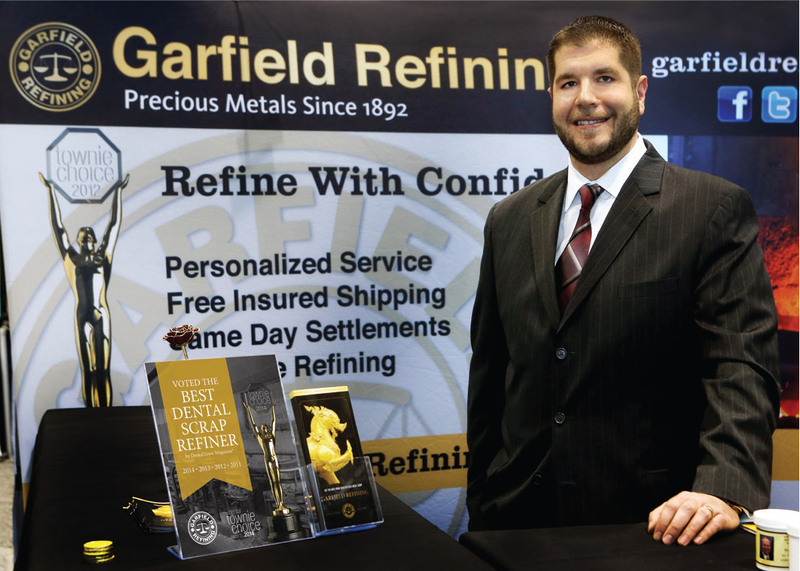 Getting customers the best payouts in the industry has always been a two-part solution for Garfield Refining. "First, it's all about maximizing recovery and yield," Sherbekow said. "Inexperience, improper technique, or subpar equipment can greatly affect the recovery rate. It's important to remember that when dealing with materials like gold and palladium where every fraction of an ounce counts, little mistakes can have big impacts on returns. At Garfield, we recognize that every shipment is unique and requires its own customized approach. Our highly skilled processors have the experience to properly select the right flux mixture and melting technique for your scrap, which ensures you get paid for all of your metal and not just most of it." Likewise, great pricing is driven by low costs. The most effective way to lower margins is to make up for it in volume. "Most other refiners have smaller client bases and larger financial pressures, which traps them into either taking shortcuts with your metal or charging you higher fees." Sherbekow said. "Either way, it is the customer who ends up paying the price. When you deal with a long-established company like Garfield, you get the quality that can only come with experience, along with the low costs driven by high volumes and streamlined costs spread out over a century. We believe that every customer deserves the best of both worlds—amazing recoveries and low costs," he added. For refining customers, knowledge is always power. "Too many refiners out there withhold information, avoid tough questions, or make it challenging to get decision makers on the phone, all of which keep the customer in the dark." Sherbekow said. "We know it's a bit unorthodox, but Garfield is so confident that we actually encourage people to shop around. We believe that properly informed customers make smart decisions and that Garfield will shine in any side-by-side comparison," he added. Asking tough questions is the key. If I were a dentist or lab I would be inundating my refiner with questions. Ask the following: Do you have full refining facilities? Why aren't there pictures online? Is the shipping address the same address where my material is being melted and assayed? Can I come for a tour? "It's alarming how many refiners won't tell you where their facility is, won't show you a picture, and won't let you come for a tour! What are they hiding?" Sherbekow said. "Ask them detailed questions about their process, how they maximize your recovery, and how they handle palladium. Ask them how long they have been in business and how big their customer base is. Ask them about their turnaround times and their return policy. Then, call us, or better yet, call me directly and I am happy to answer all of these questions and more."